Design, raingarden, plumbing, plants and planting, and mulching. 6 Month design working with the year 7 and year 11 class at the school. 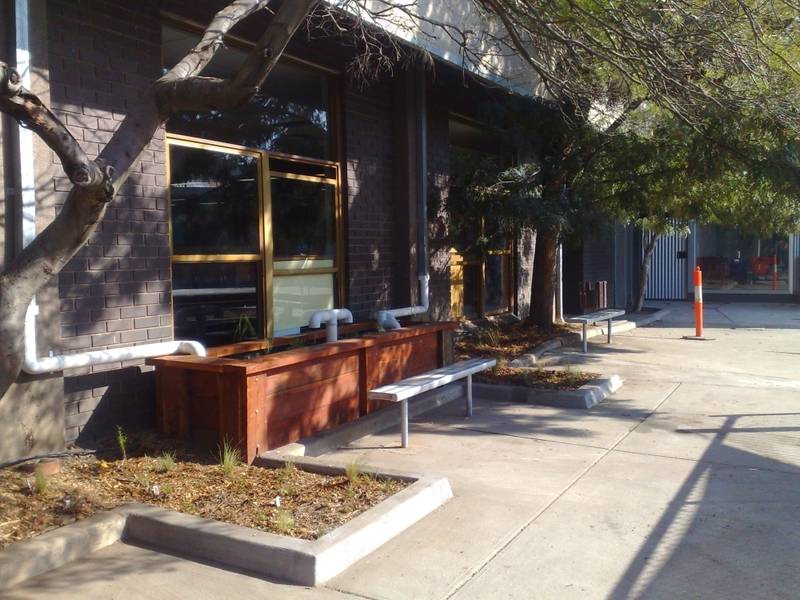 In this project we worked with year 7 and year 11 students to design anew garden area which included a Raingarden. The students researched indigenous plants and the creation of habitat for local animals as well as the urban stormwater cycle. The students formed groups and each designed their group Raingarden. Then they presented the designs to the other students. 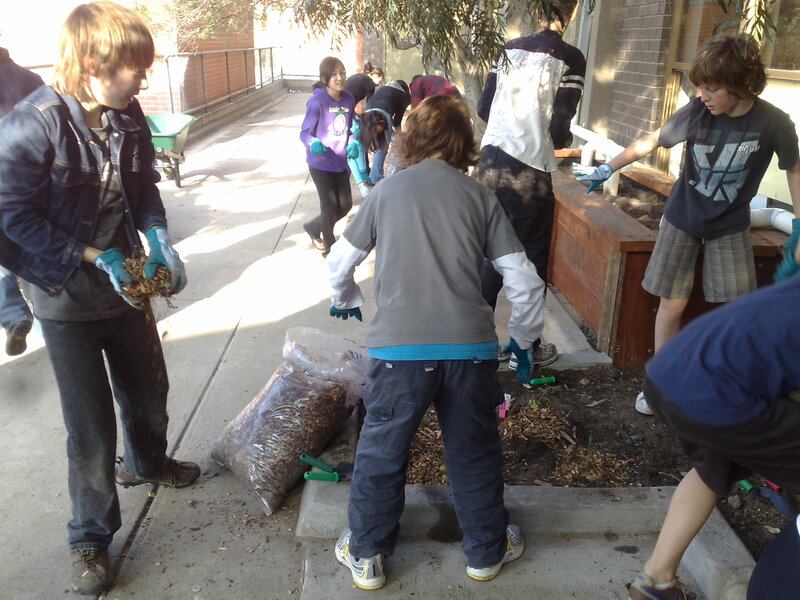 A group design was chosen and the planting was done with the students involved in the process. The students also helped clear the site and get it ready for the Raingarden.